For fast response to your plumbing emergencies you can rely on the experts at PLUMBPROS Plumbing 24 hours a day, 7 days a week. Whether you've got a ruptured water heater, a sewage backup, or water line leak - we're on standby 24 hours a day to quickly solve your plumbing emergency. 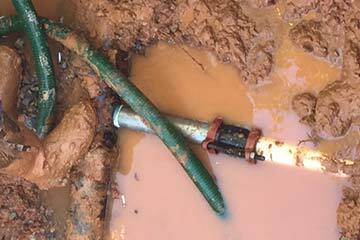 Regardless of the type of plumbing emergency you may encounter, we can help. Our highly-trained, on-call experts will solve your plumbing issues. You can count on our technicians getting there on time and using state-of-the-art equipment to get the job done right. From leak detection to sewer camera inspections, we do it all. You can count on us to be there when you need us most with professional, efficient, customer-first emergency plumbing service. Please keep in mind that during extreme weather events such as flooding or extended freezing temperatures causing frozen pipes to burst, it may take more time to schedule service.